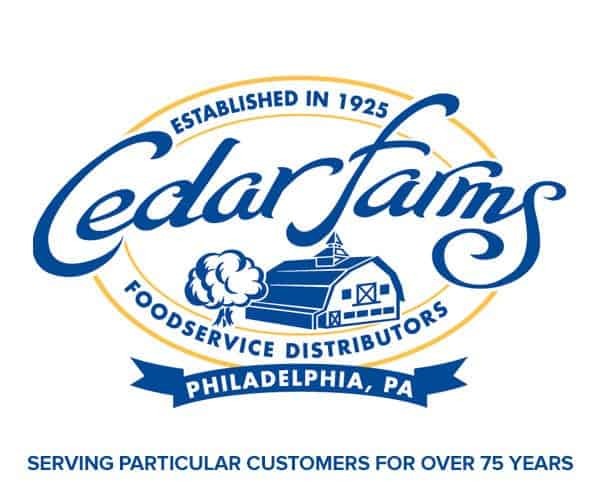 Cherry Hill, NJ – Nine Greek teams from the Mid-Atlantic region gathered for the third annual Hellenic History Tournament that was sponsored by AHEPA Camden Chapter #69. Teams were sponsored by Districts 4 and 5. The winning team from Monroe, NJ. (Founder Nicholas A. Nikas, Elisavet Gallou, Styliani Petrou, George Bizos, AHEPA Chapter 69 President Joseph Lombardo, and event chairman Steve Marmarou) brought home 1st place and a cash prize of $1,000. Some 27 students represented their respective teams competing in a contest of knowledge of Greek history. 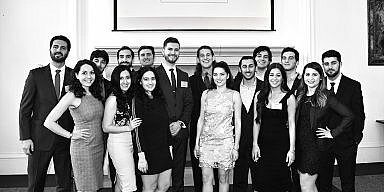 They came from places like Paramus New Jersey and Valley Forge Pennsylvania to compete in this annual affair that is open to Hellenes and PhilHellenes alike. “One of the goals of the AHEPA is to educate. 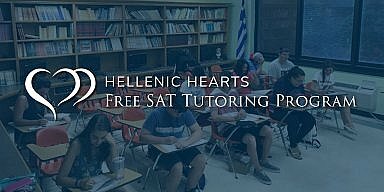 We do this to support Greek education, culture, and history through programs like this”, said George Horiatis, AHEPA Supreme Secretary. The Hellenic History Tournament is hosted annually in four major cities around North America through the year and concludes with an International championship team that emerges at the National AHEPA convention. 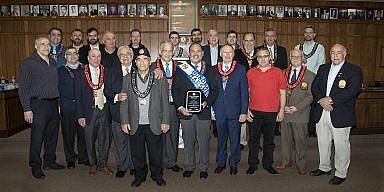 This year, the tournament championship will take place at the AHEPA Chicago National Convention in the summer of 2019. More information about the Hellenic History Tournament can be found here.